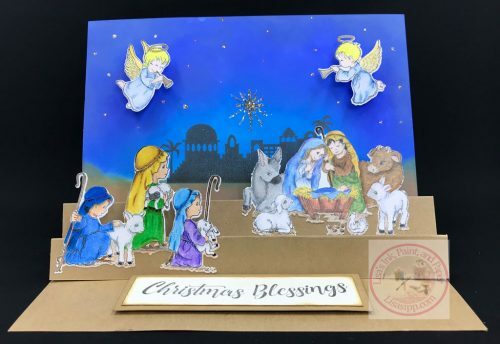 I just love the new Heartfelt Creations “O Holy Night Collection”. These are four of the cards I created for Cafe Crop‘s Release Party card class. 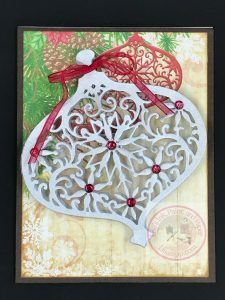 This ornament was created with an acetate layer to create a glass look. The ladies had a great time creating their cards. They even a had a special guest during class. They even a had a special guest during class. I enjoy creating an outfit and decorating for each class. If you are interested, there a few kits still available. Contact Cafe Crop for more details. I love the ornament! Elegant!